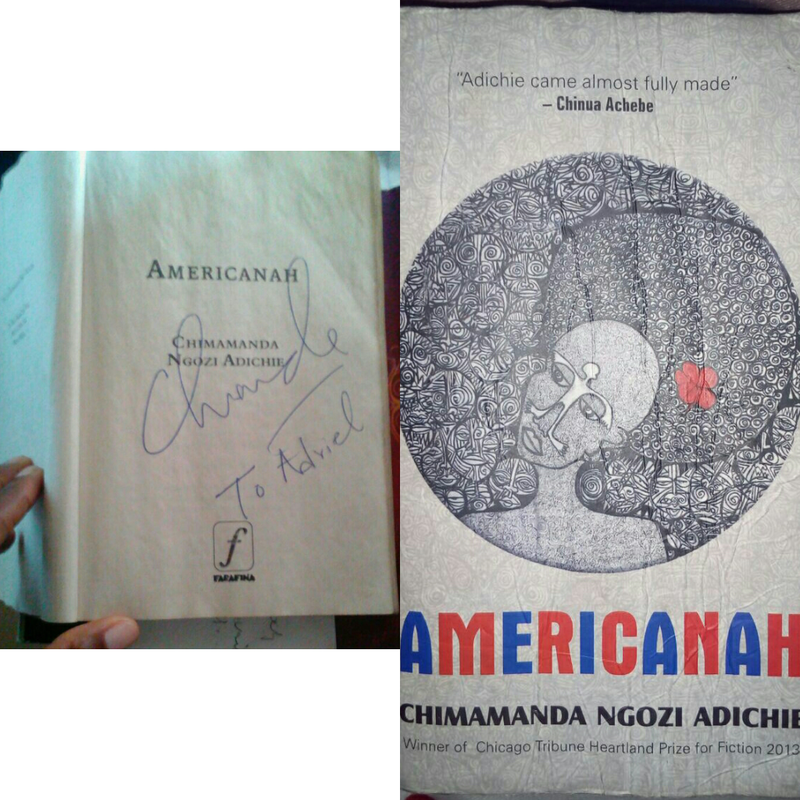 Shout out to my friend Akpo for going the extra mile – he bought this book for me and made sure Aunty Chimamanda signed. He did this in 2015 and I got it in 2016. I read Americanah in 2013. Hey guys I am so excited! Chimamanda’s Americanah won the “ONE BOOK ONE NEW YORK PROGRAMME”.The One Book, One New York is the largest community reading program in the USA, bringing together book-loving New Yorkers to read the same book at the same time. The program was launched in February 2017 with quintessential New York flair, featuring five celebrities who each urged New Yorkers to vote for one of five award-winning books. Ultimately, the votes were tallied and Chimamanda Ngozi Adichie’s Americanah was selected as the book all New Yorkers will read together. Why am I excited? Americanah is a book I love because of what it did with race and hair. For a long time I struggled with going natural, but reading Americanah gave me this full confidence. 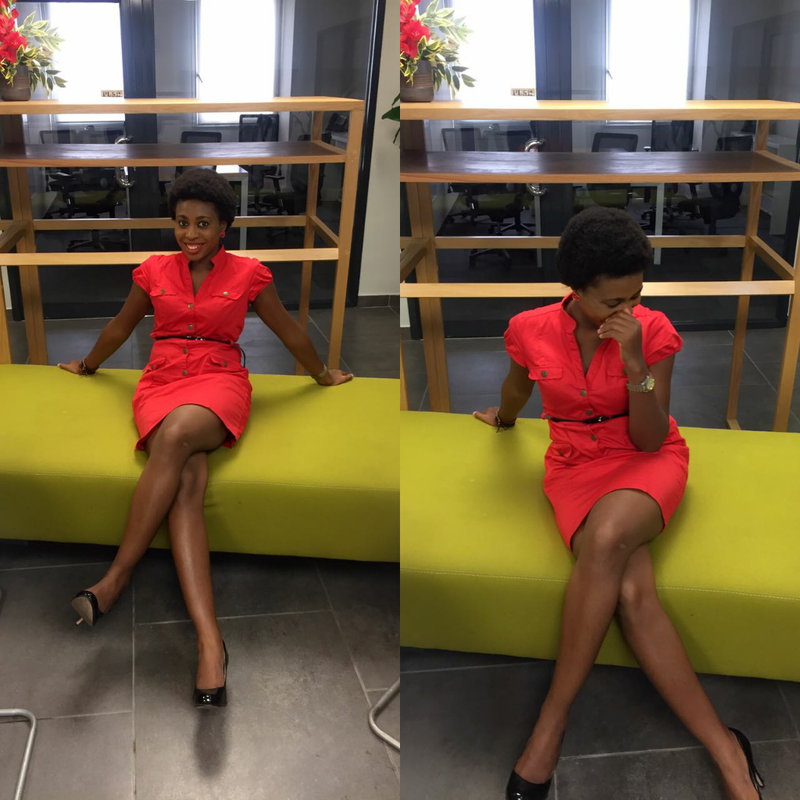 I read Americanah in 2013 and cut my hair in 2015. It took me two years to pick up the courage. But I did! 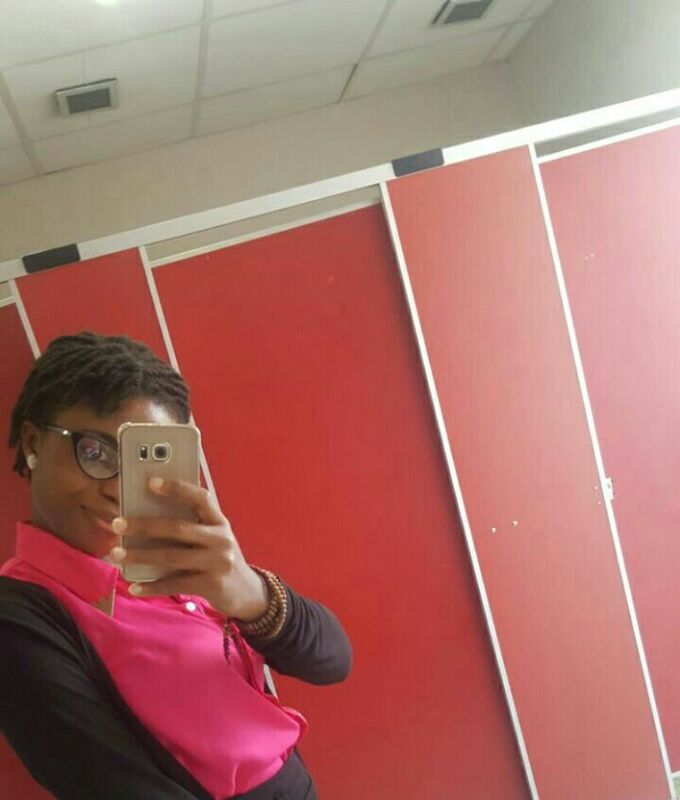 Now see who is rocking her AFRO upandan. I remember using the picture by the left and I remember a friend texting : IFEMELU!!! He had just finished Americanah. Adichie talked with The Huffington Post in a phone conversation few day ago. Huffuington Post – How does it feel to know that New Yorkers picked Americanah? It was up against some other pretty fantastic books. CNA – Yeah! I know. Obviously, to get any kind of recognition is just lovely, but this is really, really lovely, and I think it’s because I have so much respect for the other books, and I think they are just really fantastic books. When you’re in good company, it’s a good thing. I think there’s also a sense in which, when I was writing Americanah … obviously I hoped it would do well, but I really didn’t think it would. And so to have all this recognition happen brings an extra-special feeling of, really, quite simply, of joy. It just makes me happy. HP – Why do you think the book ended up resonating so much with this audience? CNA – I like to think that it’s for the same reasons that I thought it wouldn’t do well. Which is that I didn’t necessarily follow all of the literary rules. But I also realized that these are not necessarily the things that lead to success in fiction. Which is why, in some ways, this book has taught me to trust readers, because … I think readers respond to things that feel true. That’s kind of what I’ve decided to use as an explanation, but of course if the book hadn’t done well, I wouldn’t be saying that. [Laughs] I guess I would be using the same reasons to explain why it hadn’t done well.That’s kind of the problem with making decisions about art, you never really know! Hair is a serious theme in Americanah. We are first introduced to the theme of hair in the beginning of the book when Ifemelu goes to the hair salon, which was a major setting. In Americanah hair represents Ifemelu’s struggle for her identity. The moment she “falls in love with her [natural] hair” is a moment of self-love, confidence, and independence. 1) Does cutting your hair represent “something political”. You find out that hair equals identity. Americanah was nominated along with Between the World and Me by Ta-Nehisi Comes, The Sellout by Paul Beatty, A Tree Grows in Brookyln by Betty Smith, and the Brief Wondrous Life of Oscar Wao by Junot Diaz…but the New York people chose Americanah. What do you love about Americanah? I want to know. But then I came to a conclusion that until I get over the deep, subconscious love for an and/or my ‘Ifemelu’ … I’d just live my life a bachelor. Hahahaha @ blaze. I kind of agree with you. I felt really bad that Obinze left Kosi for Ifemelu. Even though he loved Ifemelu. I just think no one should just “settle” especially when it comes to matter of the heart. Obinze was literally the perfect man. I liked the “romanticized love” bit and the fact that the book didn’t end the way I thought it would and they found each other. I was especially sad when she stopped talking to Obinze, felt like a part of me was missing as well. I think I can also trace my natural hair freedom to the book. I love the romance of it all. “Ceiling”. That word still pulls at my heart strings. What I didn’t like was that he left Kosi and the kids.